to Be a Better YOU! 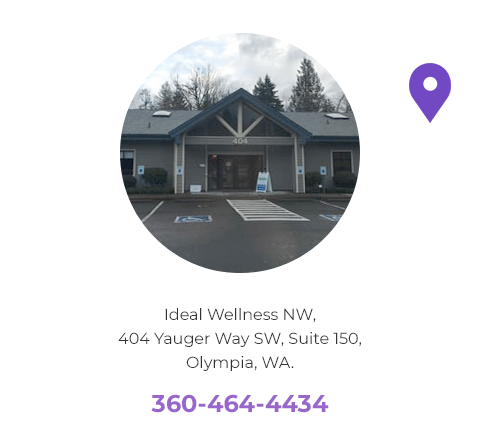 Hi, I’m Pamela (Pam) Leno, owner and CEO of Ideal Wellness NW and PamLeno.com. I want to personally invite you to contact me at our center. I would love to hear from you and answer all your questions about hypnosis and coaching – that’s our job and we love talking with people about our services and how we can help you. The best way to find out if hypnosis and life coaching is right for you or to learn more about the hypnosis and life coaching is to schedule a free consultation. They are offered daily, Mondays, Tuesdays, Wednesdays and Fridays. Pam Leno is a transformation hypnotherapist and life coach that helps you reveal your true self creating the life style you want to live. Pam takes a holistic view to find your perfect path to better health, understanding your nutritional and body composition, improving self-esteem, and realizing your dreams. With a 30 year background in the health and fitness industry, a mother of two, an entrepeneur, and a successful artist, her passion is helping people feel better and laugh more. Her experience in coaching and advanced certifications and training make her a natural for helping patients discover their path to health and the amazing gifts that it brings. If you’re a current patient, please do not use this as a form of communication.